I am so ready for Fall to make it full swing here in Louisiana. It is seriously still in the 80’s and 90’s. There are times when I wish I was back on the east coast so I could take part in all of the four seasons. We only have two here in the South, and that’s Hot, and Hotter! Needless to say, I have been getting excited for Fall and Thanksgiving. Now that Fall is here, Thanksgiving will be just around the corner. 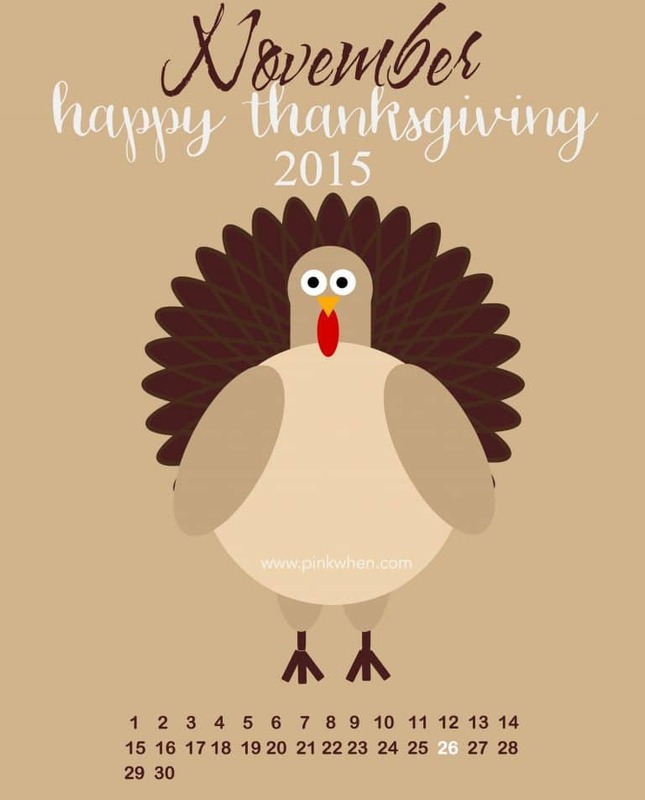 In fact, I have been so excited that I decided to create this Happy Thanksgiving November Free Printable. We are already a few days into November, and I am a little late sharing this. I couldn’t just wait until next year, so I decided I would go ahead and share it today. 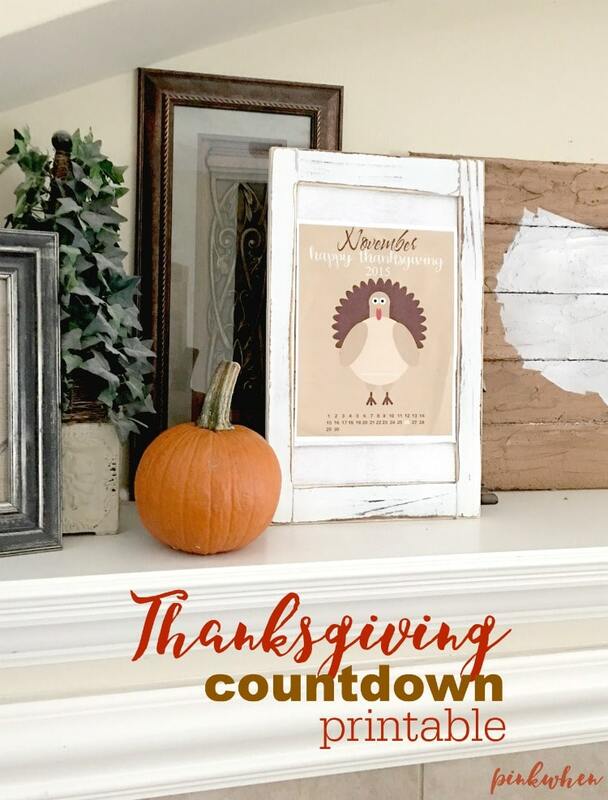 I love this little printable because you can easily print it out and then frame it and have your very own little countdown calendar. I honestly can’t believe the year has flown by as fast as it has. It seems like just yesterday is was January, and now we are headed into the fourth quarter of 2015. I know I say it often, but seriously time flies as you get older. It really does! If you haven’t already, make sure you click this download link where you can grab your free November Calendar Printable. 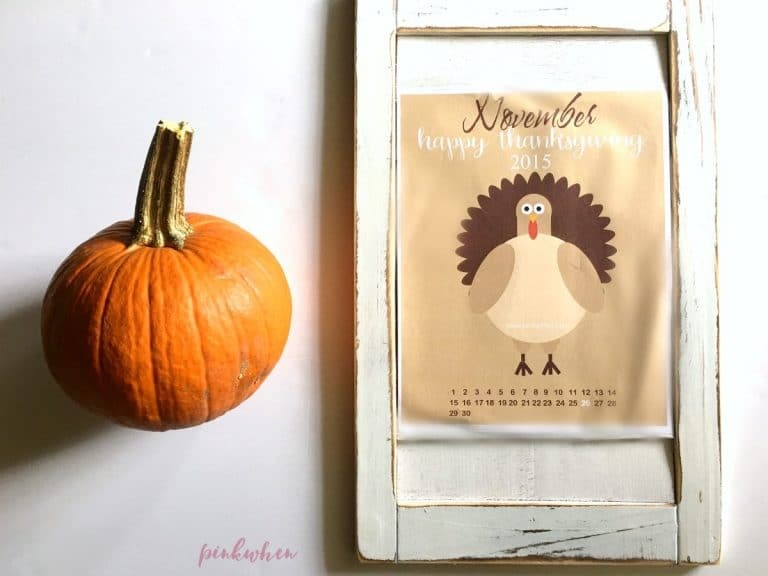 I hope you enjoy this Happy Thanksgiving November Free Printable, and if you liked this one, you should check out all of the other amazing free printables we have on PinkWhen. Very cute… I love it. Putting it in that distressed white frame really sets it off as well. Nice to count down to a day for giving thanks! what a cute idea. Thanks for sharing on the #HomeMattersParty . I hope you will join us again next week.